If, during these early days of spring, you find yourself looking ahead to glorious summer days spent bare-legged in short-sleeve dresses, the open-toed shoes you’ll be wearing might at first seem to be trolling you. 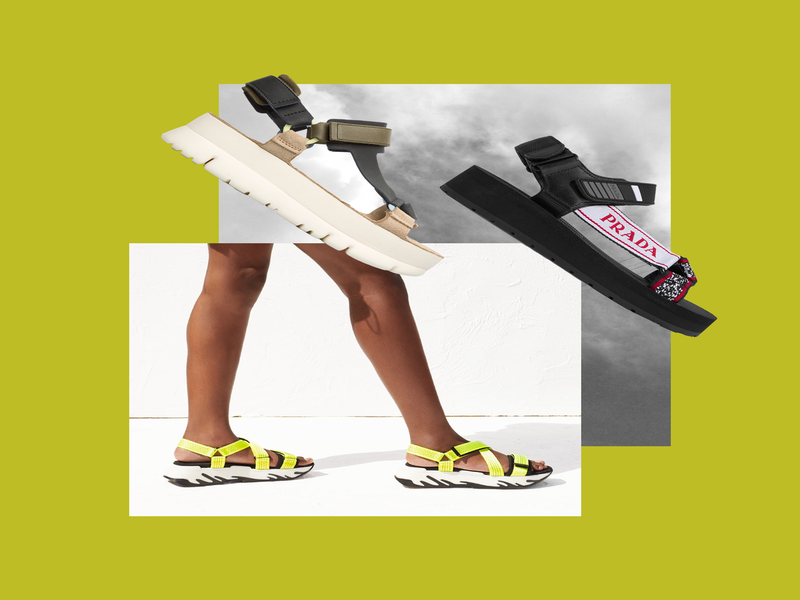 Designed initially for uphill trekking, not for sipping Aperol on the Amalfi coast, there’s no ignoring the fact that hiking sandals have crossed over from functional to fashionable this season. While the weather is still playing catch-up to our summer fantasies, now is the perfect time to get your head around the latest ‘ugly shoe’ trend. Think of it as the natural continuation of winter’s hiking boot moment, but breezier. Characterised by ankle support, a vulcanised sole and Velcro closures, it doesn’t sound like the sexiest shoe. It’s banking on the ironic appeal that has transformed Birkenstocks, sliders, bum bags, dad trainers, and socks with sandals from tourist traps into self-styled statements. Harnessing the utilitarian power exhibited in all these normcore forerunners, the hiking sandal is undeniably practical. Come summer holidays, sweaty feet once bereft of comfort in blistering jelly shoes and toe-carving flip flops will be relieved by a sandal that is both covetable and comfortable. Teva is arguably the originator of this polarising sandal but this season they aren’t the only ones dipping a toe in the water. Dries Van Noten and Chanel have eagerly created their own versions of the silhouette, as has Nanushka (in an arresting mauve satin and tamer black vegan leather) and Zara (in neon). Perhaps the most popular among insiders, however, is a little known label called Arizona Love. “I love to customise my clothes,” confides label founder Leslie Halfon, whose bandana-wrapped hiking sandals have graced the Instagrammed feet of Pandora Sykes, Lucy Williams and Blanca Miró. “Last year just before my summer vacay, I played around with one of my trekky shoes and a scarf and in a minute it looked like magic,” she says of her cult shoes’ origin story. Ultimately, she admits, their easy ingratiation with the fashion community is imperceptibly tied to the hard fact that “the shoes are very comfy”. Those buying into the trend now will be relieved to know that Net-A-Porter is backing the longevity of its appeal, with plans to add 35 new trekking sandals to their offering in AW19 (including a highly anticipated pearl-encrusted pair by Cecilie Bahnsen). In other words, these shoes have a life beyond summer, so it’s time to invest. Your feet will thank you. When Does Being A Supportive Friend Actually Become Unhealthy?